Earlier, Storey shoved a rag in his mouth to gag him, as her friend produced a range of tools to threaten him with – a saw, wrench, screwdriver and the drill as well as a golf club. In an impact statement, the victim said: “I lay awake at night thinking about why I didn’t fight back, and how humiliated I felt and still feel. “I would have loved to have been in the army, but this makes me feel I would be no good if I can let two girls beat me up like this. The women, from Guisborough, east Cleveland, had to be separated by security guards in the dock after a fight in the cells before the case. There had also been trouble between the pair while they were on remand at Low Newton in Durham. Storey wept in the dock as her phone footage of the attack was shown in court, while Evans watched without showing any emotion. Storey’s lawyer, Gary Wood, told the court that the mother-of-three has had a ten-year amphetamine addiction and had been drinking with her friend on the night. “She encouraged with words spoken and filmed this horrible incident using her mobile phone, which she accepts makes her equally guilty,” he said. Stephen Constantine, for mother-of-two Evans, said: “She seems to have flown completely out of her mind. She told the police that she appeared as though she was possessed. Th court heard that Evans was annoyed at continued unwanted attention from the man, visited him in the early hours of April 5 and ordered him into a car to go to Storey’s home. The victim was said to have been frightened, but wrongly believed that Storey would stop anything happening to him, said prosecutor Emma Atkinson. Towards the end of his ordeal on the video, he can be seen on the floor where it looks as though he is being kicked by Evans. Evans, of Woodhouse Road, admitted false imprisonment, religiously-aggravated assault occasioning actual bodily harm and making threats to kill. Storey, also of Woodhouse Road, pleaded guilty to false imprisonment and assault occasioning actual bodily harm. Judge Deborah Sherwin told the pair: “Each of you have the capacity to be violent bullies when the need, in your eyes, arises. 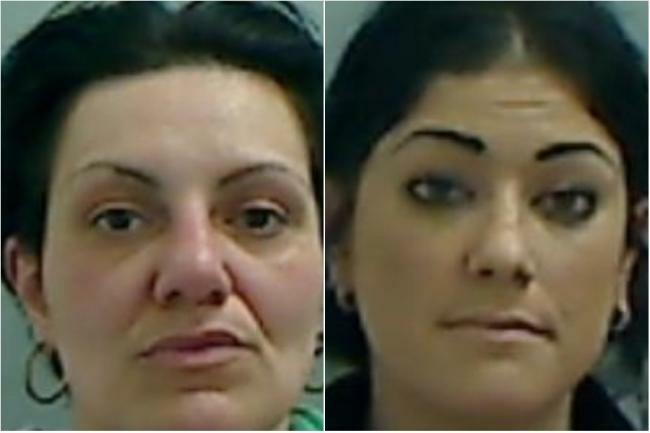 Neither woman had any previous convictions, the court heard. After hearing screams from the victim, a couple – believed to be the victim’s parents – left the courtroom, but later returned.